This summer Nu-Heat held a Summer Party in aid of SADS UK, following the tragic loss of one of their colleagues and Macmillan Cancer Support as so many of the staff have been affected by cancer, whether that be a family member, friend or colleague. Nu-Heat raised £1400 for two charites. “We have been overwhelmed by the generosity, enthusiasm and support by everyone for both deserving charities. We all had a thoroughly enjoyable day with the staff and their families fundraising for both charities.” Alison Troop, Nu-Heat Company Secretary & Director. 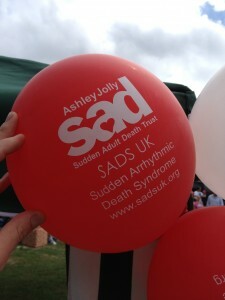 SADS UK highlights the fact that young people and even children can be affected by potentially fatal cardiac conditions.